Suffering from pain is never pleasant, and having your Omaha chiropractor, Dr. Eiler to trust can help you gain a pain-free life. If you or a family member suffers from any of these ailments, give the Chiropractic Health Clinic at Oakview Medical Building a call today. 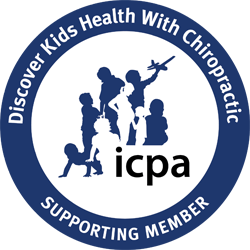 Our family of chiropractors is dedicated to helping patients overcome pain and enjoy an active and healthy life! Our chiropractic philosophy encompasses the entire body, and in addition to treating current symptoms in order to provide our patients with pain-free living, we also believe that prevention is a vital part of a healthy lifestyle. Our Omaha chiropractor, Dr. Eiler, will work with you to establish a healthy lifestyle that will help to prevent future illness and conditions that can cause pain. Proper alignment of the spine can improve posture, correct subluxation, and help injuries of every type to heal faster. The team at the Chiropractic Health Clinic is trained in the most advanced and effective treatment practices that provide full-body care and long-term solutions to any health issue. Stress can be a factor in conditions such as tension headaches and it can cause pain that is debilitating. Headaches can be treated by releasing pressure in the neck and shoulders and adjusting the spine to its proper location. There is no need to suffer unnecessarily from any of these symptoms when the dedicated staff at the Chiropractic Health Clinic is here to help. If you are suffering from a symptom or condition listed here, contact us to schedule a consultative appointment to learn more about how chiropractic care can help you to live a pain-free life. Our staff provides comprehensive care for the entire family and wants you to lead a healthy and happy life that is free of pain. Our care aids in creating an immune system that is strong and able to fight against illness. When you are pain-free the body is able to function at optimum levels and keep you feeling great! Isn't it time for you to learn more about how Chiropractic care can help you? Dr. Eiler, the Omaha chiropractor on staff provides long-term solutions rather than quick fixes that are only temporary. If you suffer from any of these conditions, contact us at (402) 778-5470 today to set up an appointment with our skilled Omaha chiropractor. How have chiropractic services improved your pain symptoms?